BurdaHome is one of the four national publishing groups within Hubert Burda Media. The division publishes numerous special-interest media brands on cooking, enjoyment & hospitality, and gardening, countryside & homes. At BurdaHome, the focus is always on offering consumers a 360° brand experience. BurdaHome brands reach over 7 million readers (ma I/2016) and speak directly to their consumers’ lives via all communication channels. The portfolio includes around 25 periodical magazines, including Europe’s largest gardening magazine, Mein schöner Garten – a multi-channel brand with a large online community, online shopping system and retail collaborations. Another brand steeped in tradition is Meine Familie & ich, Germany’s biggest-selling food and enjoyment magazine. Be it Wohnen & Garten, Wohnenträume, Lisa Wohnen & Dekorieren or Home & Style – to name just a few – BurdaHome brands offer lifestyle and home trends for every taste and budget. Another huge success is the strongly growing family of countryside magazines based around Mein schönes Land with line extensions such as Mein schönes Landhaus, Mein schöner Landgarten, Meine gute Landküche and LandEdition. After positions in retail, industry and the business press, Frank-Jörg Ohlhorst joined Hubert Burda Media in 1995 as publishing director. From 2002, he was one of the managing directors of Medien Park Verlage, which in 2013 merged with the Super Illu publisher in Berlin and was renamed BurdaLife. 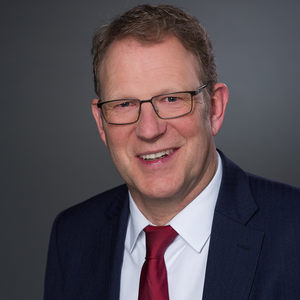 Following BurdaLife’s division into two publishing groups, Frank-Jörg Ohlhorst became managing director of BurdaHome in 2016.